Together Peter, his brother Steve, and mom Susie Johnson, run the Johnson Family Ranch. 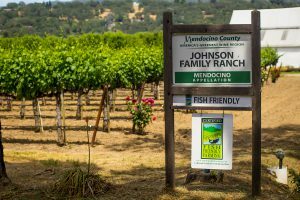 The fifth generation Johnson family is tilling the same land their great great grandfather settled in the 1880s along the upper banks of the Russian River in California’s Ukiah Valley. Peter, Steve and Susie personally oversee every facet of the farming and packing operation. The Johnson family specializes in growing wine grapes and mountain pears, but at one time the farm also produced hops, prunes, alfalfa, cattle and was even home to a dairy operation. 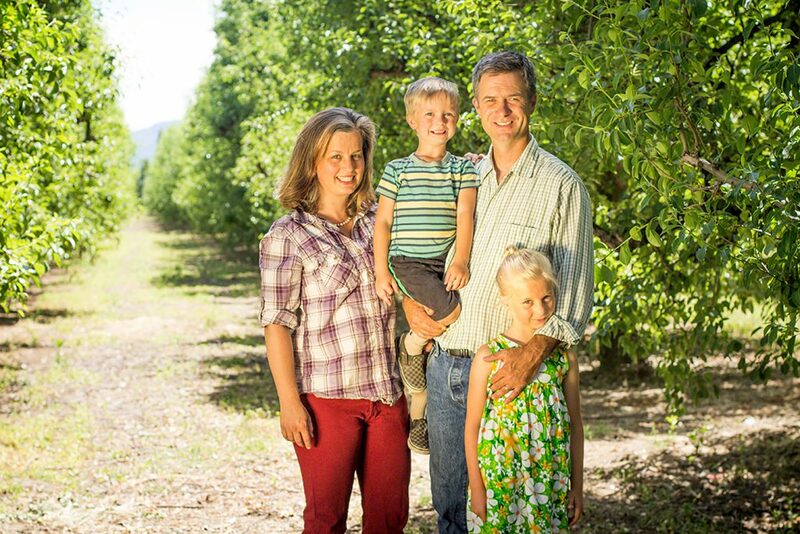 Peter studied pomology and ag business at Cal Poly in San Luis Obispo because he always knew he wanted to contribute to the family business. Peter and his wife, Adriana, live with their two kids in the same house that Peter’s grandparents raised their children in. His brother, sister in-law and two nephews live just across the street. 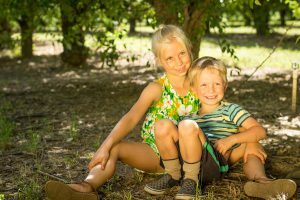 Peter loves working outdoors and appreciates not having to commute to work, but he is most excited to create a future for his kids who are growing up on the ranch. His eight year old daughter and four year old son wake up before school and run outside to help their dad in the orchard with shovel and hoe in hand. Their favorite farm task is hanging bird houses and owl boxes.